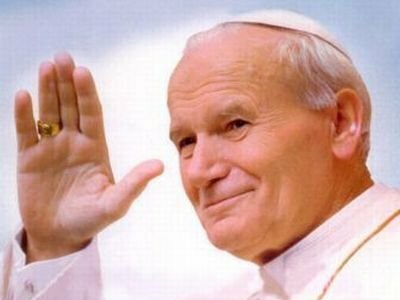 As people around the world prepare to welcome Pope John Paul II at the newest of the list of beatified, I find myself recalling two experiences which shaped my understanding of this man-pope and how much he had touched the world. I remember waiting to be introduced to the Pope, and as others went up, I noticed for the first time how truly tired this pilgrim pope had become. He was no longer the vibrant man of his early papacy, but truly, a man who had suffered much, and because of his illness in his last year or so, had very little energy to engage with those who came to meet him. And yet, beyond the look of age and wear and tear, there was a spark in his eyes, yes, even at the end of a two-hour audience. He greeted pilgrims and married couples, like he had done throughout his papacy. It is not for nothing that he was often referred to as the “People’s Pope”. As the assisting priest came to the prayers for the Pope, his face changed, his voice cracked, his eyes filled with tears, and he hardly was able to conclude the prayer. You could see the tenderness of what Pope John Paul II meant to this priest. I wondered if that priest was thinking, ‘would it be the last time while praying the Eucharistic Prayer that I will intercede for Pope John Paul?’ The priest had probably spent his entire priesthood praying for the Pope; he most likely came to his adulthood under John Paul’s reign. 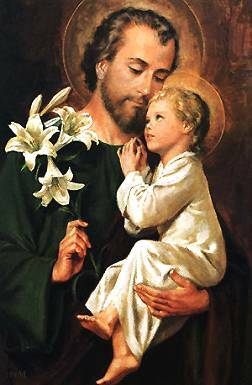 And now, he was having to say goodbye to words that have been a part of his daily act in the Sacrifice of the Mass. A few days later, on the eve of the feast of the Divine Mercy in 2005, John Paul the Second went home to the Father. In the days and weeks that followed, pilgrims from all over the world, and of all different religions, poured into Rome to pay their last respects, for a Pope who traveled to them, and encouraged them, “Do not be afraid!” Each day, as I walked home from the Angelicum, I would pass pilgrims on the street, waiting in line across the Tiber, for their turn to pay last respects; to say their “thank you” to JPII. So now, many pilgrims who said goodbye to this man-pope six years ago, return to Rome, to cheer the Pastor that had guided the Universal Church for twenty-six years, for his heroic virtue and inspiration to so many. A Tribute to Pope John Paul II in pictures.